Keep your construction tools clean and collect dust and debris. Nilfisk industrial cleaning machines can do it. Why should you choose Nilfisk cleaning machines for your building and construction business? “Clearing the way” is Nilfisk’s value proposition and the Nilfisk promise. Nilfisk offers a model for every kind of sweeping: from small and compact sweepers to walk-behind models destined for harder and more intense jobs. Our sweepers are capable of sweeping up to 16,000 m² per hour. For indoor use, our sweepers can be equipped with battery power or LPG. For outdoors, both petrol and diesel engine are available. 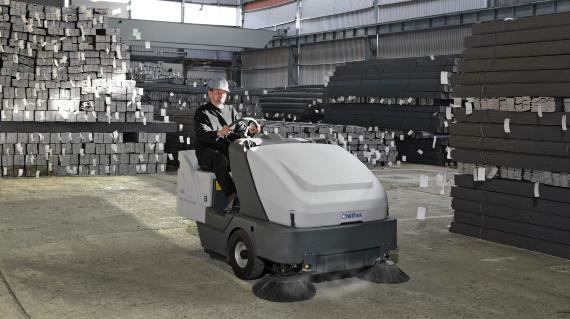 Nilfisk offers every type of sweeper you need for the building business. An industrial vacuum lets you collect dust and debris permanently, making the environment fully clean and dust-free. 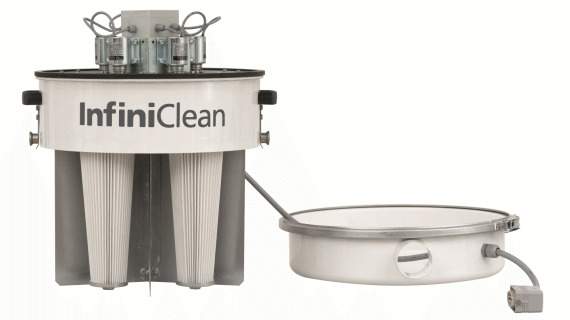 Our models equipped with the self-cleaning “InfiniClean” filter allow the operator to complete the entire cleaning process without needing to stop and clean the filter. It’s a perfect solution for building contractors who want to leave a room clean and ready to deliver. 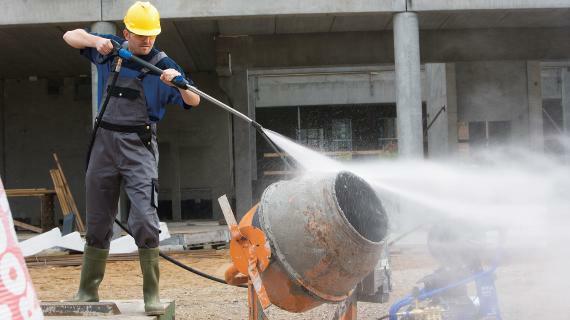 Pressure washers take on multiple tasks in the construction business, all of them important. The removal of dirt, concrete and graffiti. Nilfisk’s NEPTUNE series delivers high performance, ease of use, low noise and excellent washing efficiency. If transport and storage are strategic elements, but you also still need high cleaning power, the NEPTUNE 4 FA series is the right choice. It’s ideal for daily intensive washing in the construction business.